Home / Archive by category "public"
On the 18th and 19th of March 2014, a bespoke and one-off 2-day TESLA project training programme was held for UK based High Potential Start-up companies (HPSUs) interested in fast tracking their success by taking advantage of public procurement opportunities. The event was held in Cardiff during Procurement Week 2014 (Bangor University’s Institute for Competition & Procurement Studies flagship annual procurement conference, part-sponsored by the Welsh Government), with a remit of catapulting forward HPSUs with no real knowledge and understanding of public sector tendering, to rapidly climb the tendering skills ladder and become seasoned experts over a 2-day intense training period. 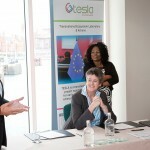 The bespoke training comprised a deliberate mix of interactive sessions, case study presentations, and formal presentations by world leading tendering experts and public procurers. 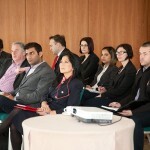 8 complementary training sessions were delivered; these ranged from practical sessions focused on drafting a winning public sector tender and collaborative bidding techniques, to sessions focused on strategy including tendering strategy and management and selling innovation to the public sector. A number of foundation seminars were also given; featuring topics such as public procurement processes and procurement law. 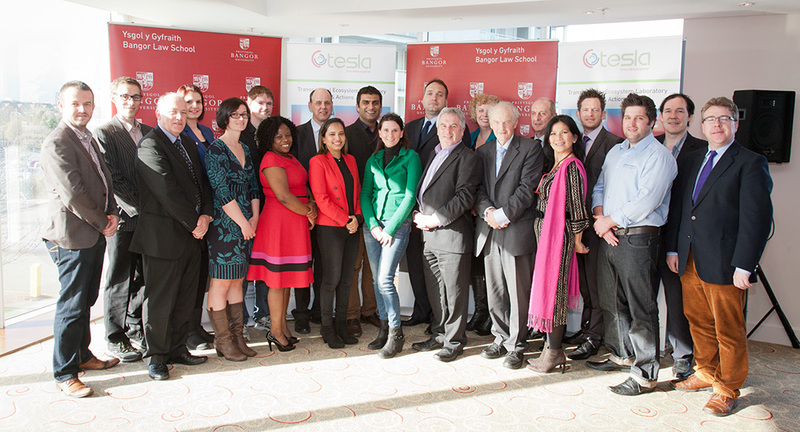 The training took full advantage of the extensive procurement and tendering expertise available from TESLA project partners Bangor University’s Institute for Competition & Procurement Studies and Tilburg University, as well as direct input from public procurers who were able to provide their unique perspective from the coalface of tender evaluation. 15 start-up companies with significant growth potential and with their company headquarters located in Wales and England attended the event, with some travelling more than 10 hours to engross themselves in the world of tendering! 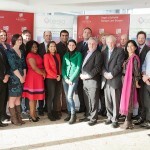 The HPSU attendees comprised of a rich mix of companies with serious growth potential: ranging from a company using open-source technology to ensure people with disabilities are not put at a disadvantage; to a company specialising in the design and build of complex computer systems utilised in Big Data applications! Feedback from the event was resoundingly positive, with all attendees stating that the event will alter their practice, and 67% rating the performance of the trainers as “excellent”. Nat Stedman, who is director of Rojo&Co., a company set-up to plan bespoke events for clients and develop software to make event planning simple, said of the training: “one of the best training courses I have ever attended. 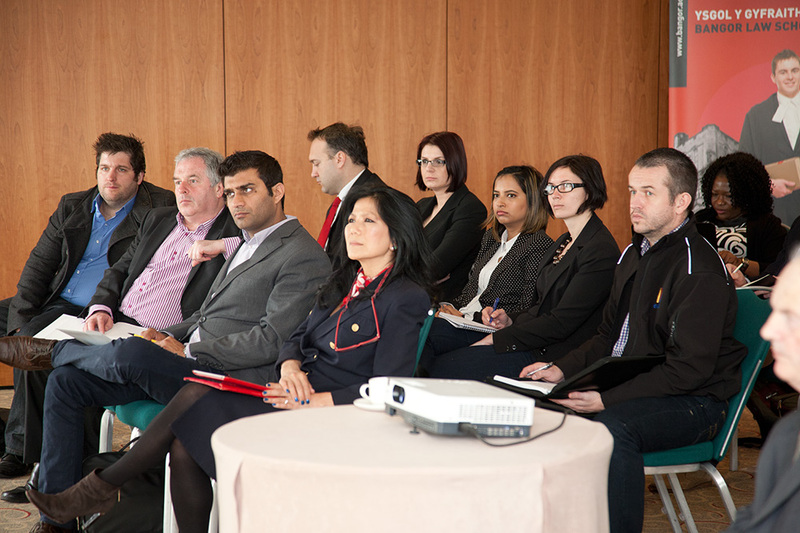 Very well organised and delivered – went far beyond my expectations.” Another attendee stated: “an excellent event, well managed and delivered”, whilst another went even further and pronounced the training as “brilliant”! Professor Dermot Cahill, Chairman of the Institute at Bangor observes: “The TESLA project seeks to build an ecosystem to enable HPSUs to accelerate their growth using a range of accelerators. 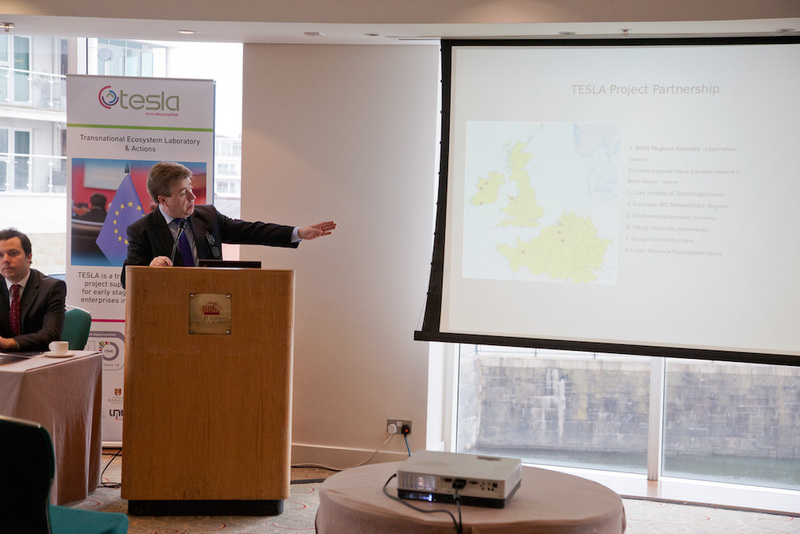 The TESLA project funding from North West Europe INTERREG allows Bangor and Tilburg Universities to combine our strengths to deliver this unique bespoke assistance to HPSUs, so that European companies remain competitive and can grow using non-traditional routes and we are delighted to play our part in this endeavour”. 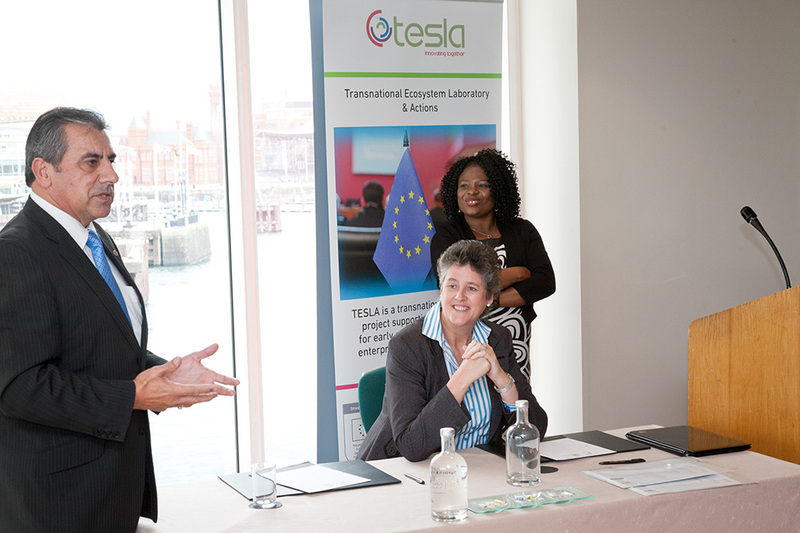 The event was also used to raise awareness amongst the HPSU attendees of the unique opportunity they have to capitalise on additional complementary tendering support available to them via the TESLA project, in the form of one-to-one tender surgeries.